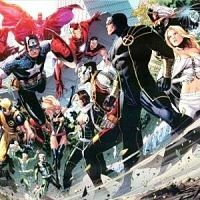 Both DC and Marvel have garnered audience interest by turning their heroes against each other, or bringing them together. With the upcoming Batman vs Superman film getting some attention for DC (though not as much as Suicide Squad, understandably) the Marvel Cinematic Universe Phase Three is set to pit Captain America against Iron Man in Captain America: Civil War. This got us thinking. Arrow often crosses with The Flash, and The Flash is due to cross with Super Girl. 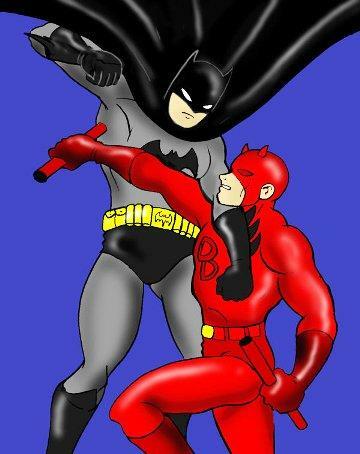 Daredevil and Elektra storylines intertwine and Wonder Woman can be seen in the upcoming Batman vs Superman, but what crossovers or battles would we like to see from DC and Marvel in the future? What about Wonder Woman vs Super Girl? Or Robin vs Gambit? Here we list the top 10 crossovers we would like to see in the future, assuming there is any space left for more superhero films after this year. One turned rogue when both of his parents were killed and he vowed vengeance on the criminal underworld that took away all that he held dear. The other blind, lost his father at the hands of the criminal underworld and turned renegade. Both of them are human rather than metahuman, and use their learned skill and gadgets to take on their foes. The two may be well suited in terms of battle, and their individual storylines parallel stories of grief and pain offer dark and intriguing opportunities for explorative narrative development. They would appear to be well suited in terms of motivation and ability, though Daredevil may need to up his level of gadgetry.